TRAINING SHOULD GO TO THE PEOPLE, NOT THE OTHER WAY AROUND. DART was designed with mobility in mind. In fact, it’s the first firearms simulator to integrate computer and optical components in a package this small. Measuring just 6x5x3 inches and weighing under two pounds, DART truly allows firearm training to take place anywhere, any time. CRITICAL TRAINING CAN AND SHOULD BE WITHIN EVERYONE’S REACH. In a perfect world, everyone would have access to proper training. 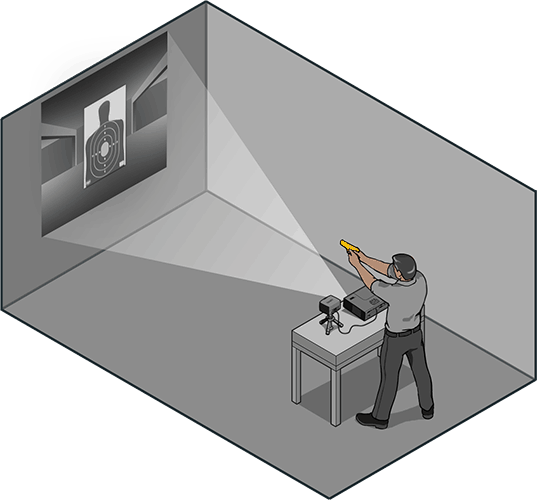 Of course, there will always be high-end systems that push the boundaries of capabilities, if not departmental budgets, but DART focuses on delivering critical core firearm training at an extremely affordable price. After all, what good is even the world’s best training if you can’t afford to get it into the hands of the people who need it? POWERFUL AND AFFORDABLE AREN’T MUTUALLY EXCLUSIVE. Don’t let its size (or price) fool you. DART is small by design but fully loaded with great features. 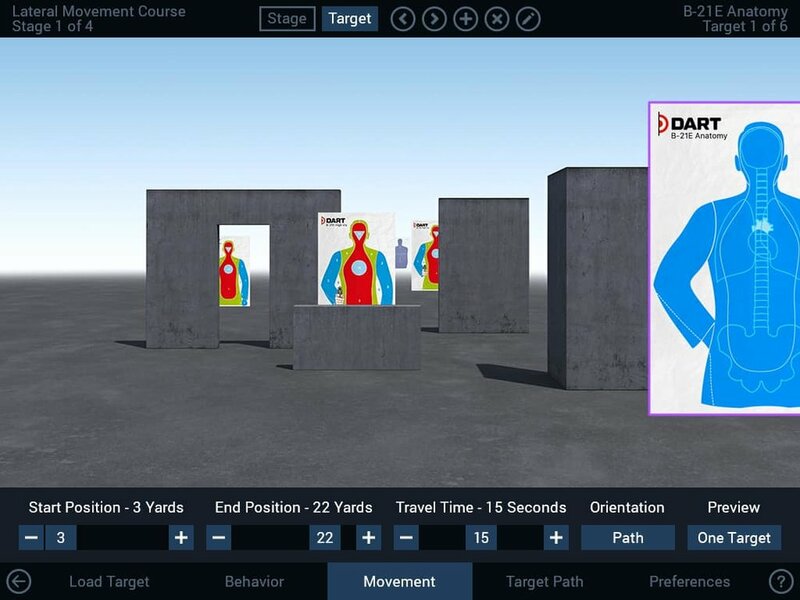 DART is built around a powerful 3D simulator capable of handling everything from qualification courses to scenarios and situation awareness drills. All DART systems include DART Creator software that makes it easy to create or modify existing courses to suit your department’s needs. DART is designed and developed by Digimation – recognized for the past twelve years in a row as a leading training and simulation company by Military Simulation & Training Magazine. From setting up the hardware to using the software, everything about DART was designed to be effortless. Software commands and options are easily mastered, which means that you’ll spend your time training, not training to train. DART will never be relegated to the closet because the person who knew how to use it not available. Even our user manuals and pricing structure is simple because simple is better.